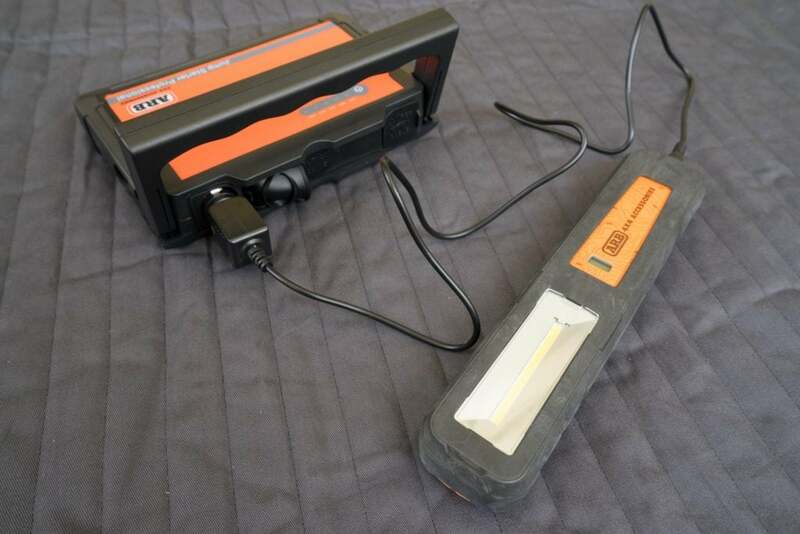 While portable jump starters aren’t new, ones that we’d consider packing for overland travel are. 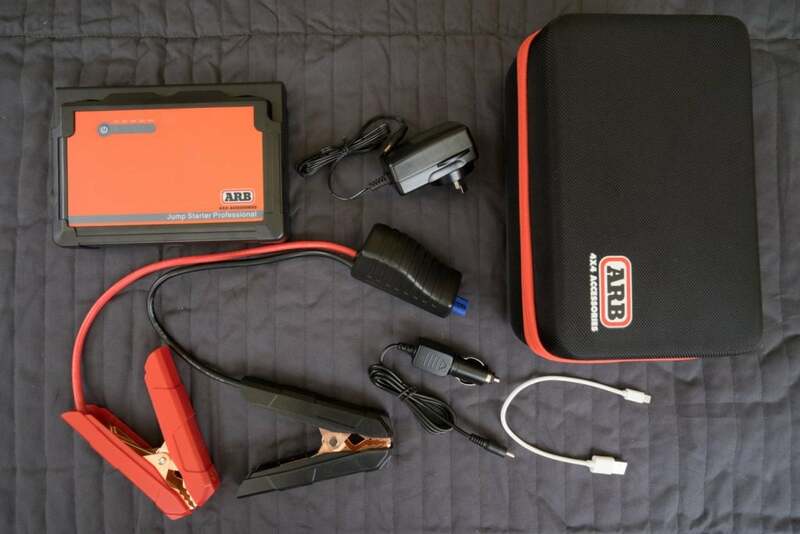 While primarily a starting back up, the ARB Jump Starter is actually a solid backup for a surprising amount of key gear too. 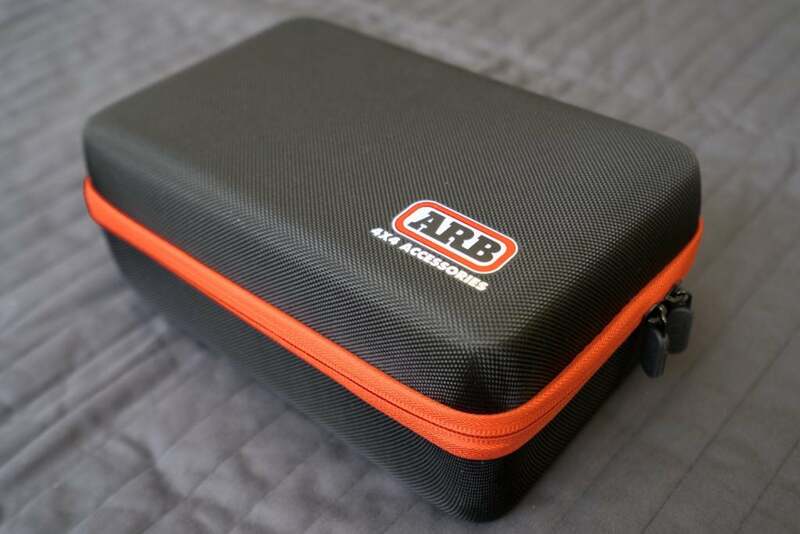 Before we look at what the ARB Jump Starter can do, let’s take a look at what’s inside the case. 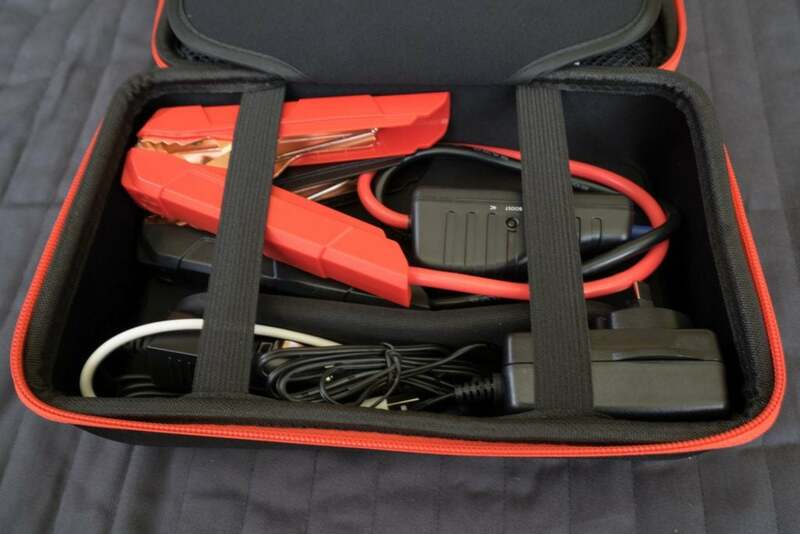 First up there’s the Jump Starter itself which fits neatly in one half of the case. Next up are the cables – jump cables, cigarette socket to DC charger, USB lightning cable and a 240V charger for powering up the unit. All the cables neatly fit in the case too. 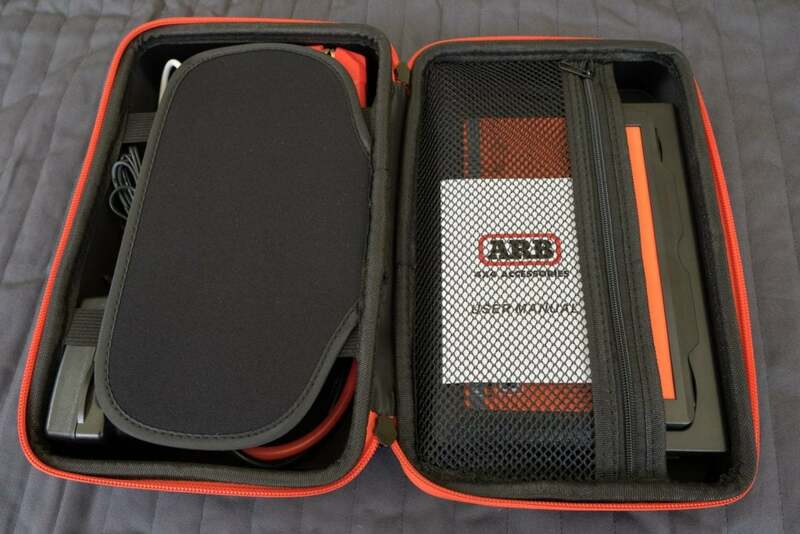 The case itself measures 24 x 15 x 9cm – it’s actually lighter and more compact than our jumper cables. 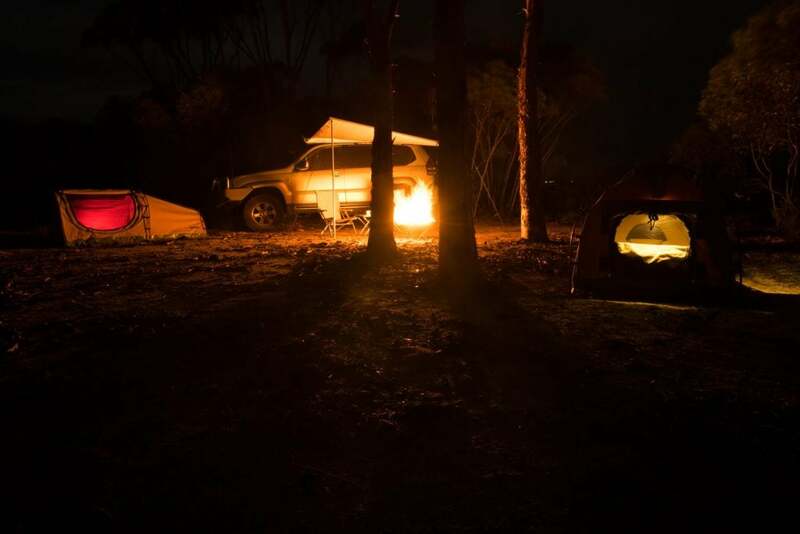 These units are deceivingly powerful – they’ll start up to 5L V8 diesels or 6L petrols. They also offer up to 20 jumps depending on engine size. 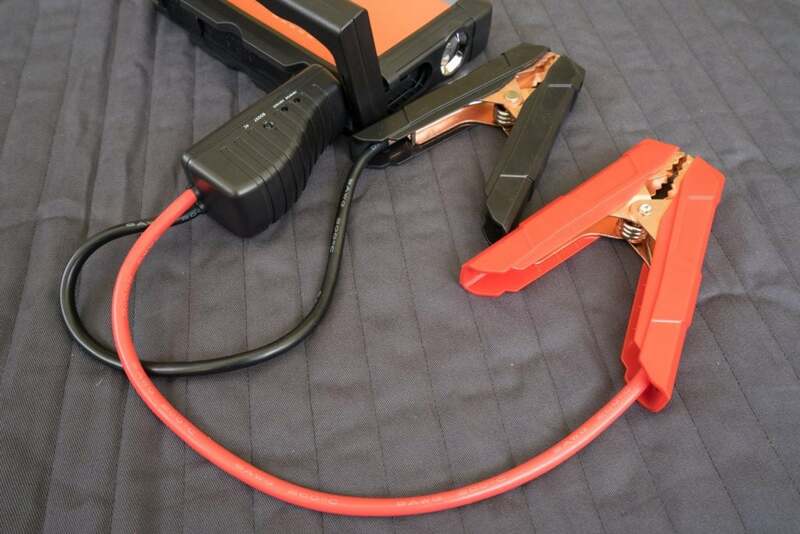 The alligator clips plug in to the Jump Starter and then connect to your battery in the usual way. If the green light is showing you can jump start directly. 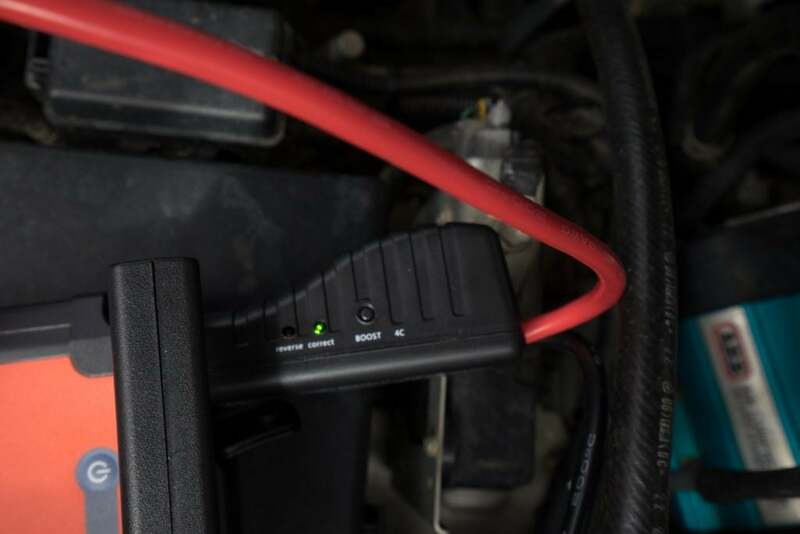 If the Green light is flashing simply press the boost button and wait for some charge to be shifted across – once the light turns solid green start the engine within 30 seconds. 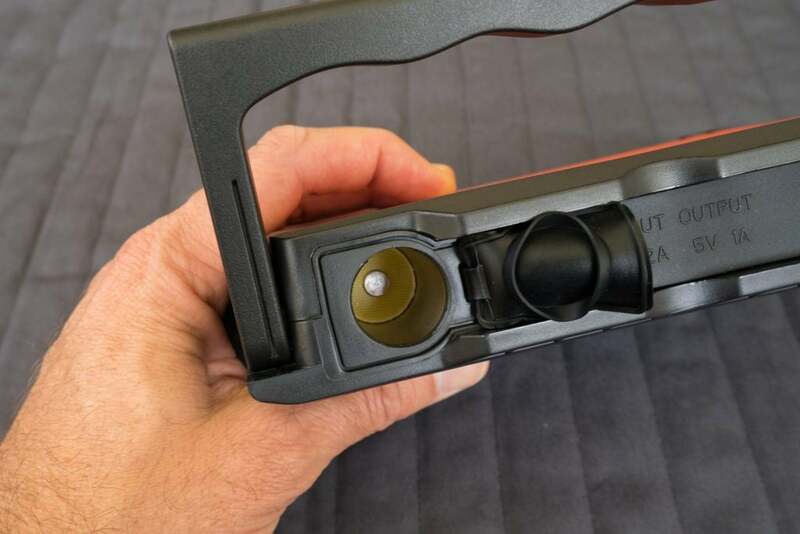 If the red light comes on, check the connections and try again. 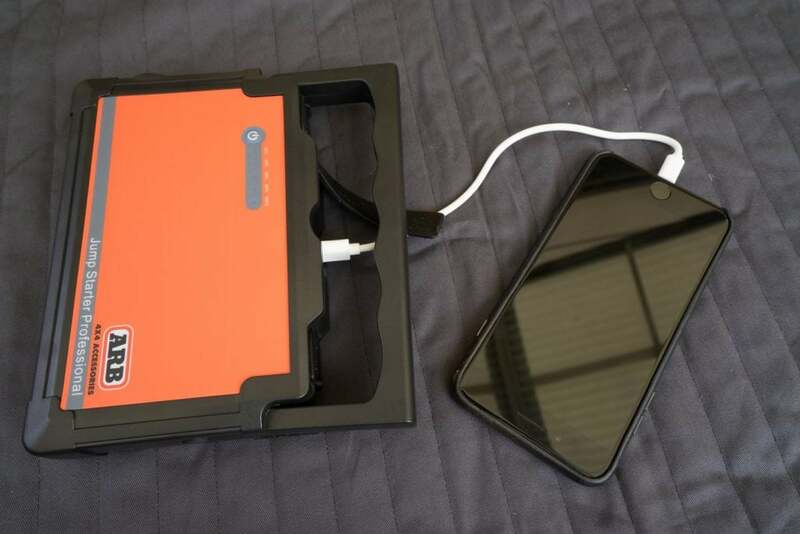 With two USB outs and a cigarette socket it may be tempting to use this as an everyday charging device. 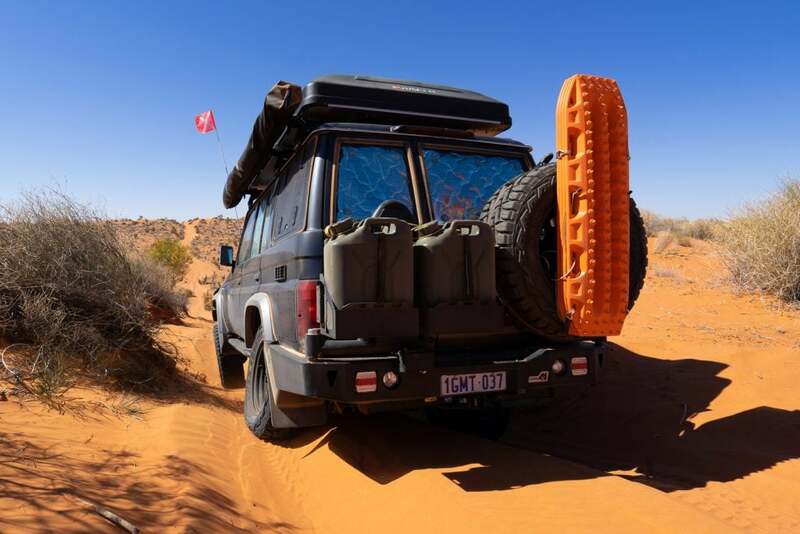 We’ll be keeping ours as a backup for the vehicle, and as it turns out as a backup for a number of other important pieces of gear too. 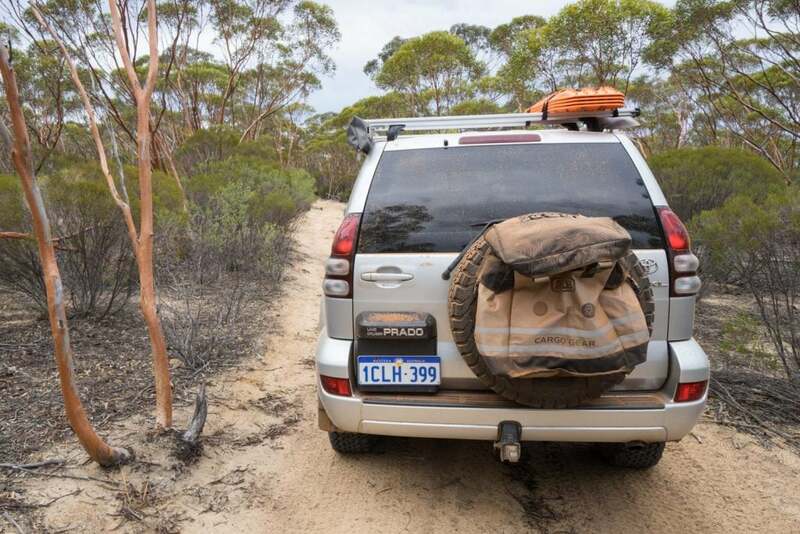 After our 4WD our satellite phone is a key piece of safety equipment. 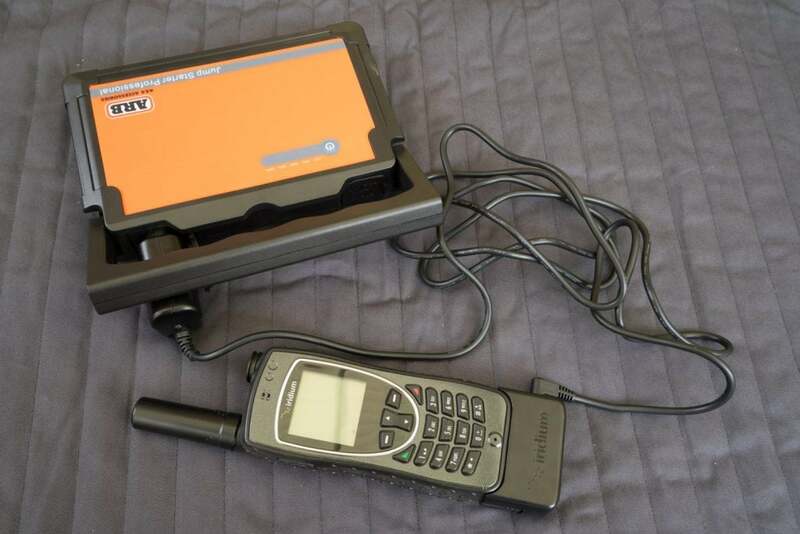 If our vehicle power system is down we can plug the Iridium 12v cable straight into the cigarette socket, a socket most power packs don’t have. 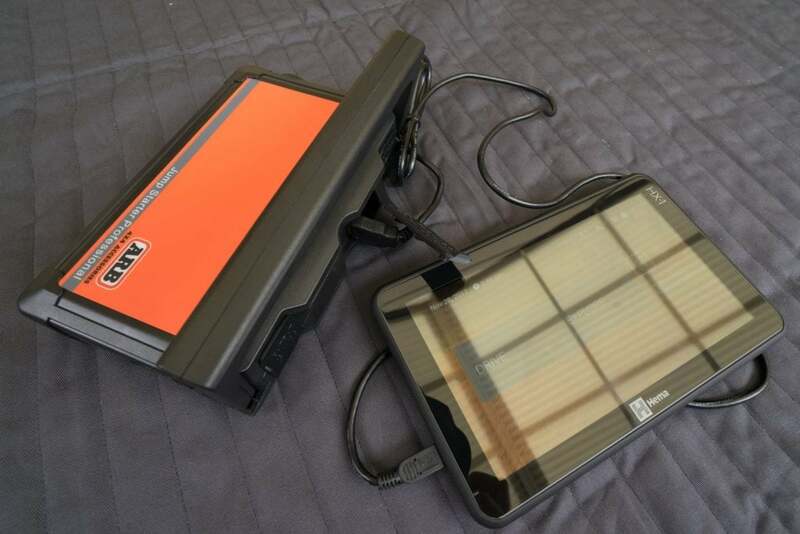 Our phones and HX-1 navigator are important too, and the USB outs are perfect for powering up these. 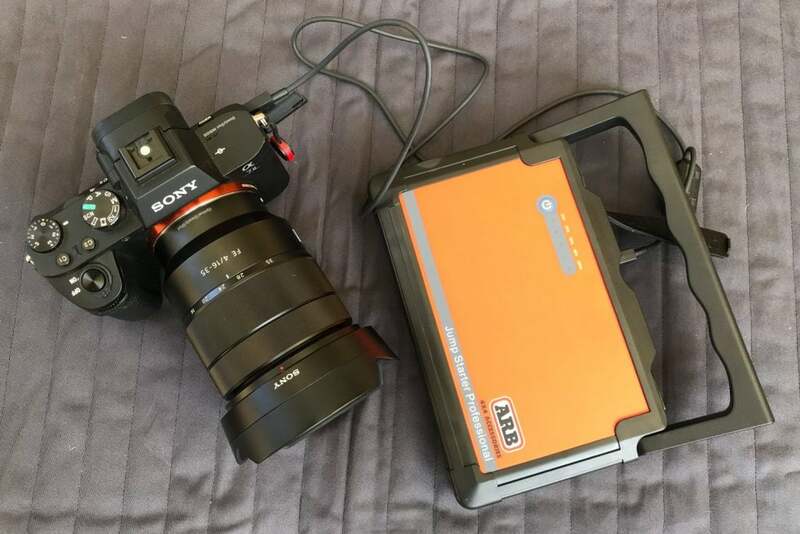 For us keeping our cameras charged is critical for our line of work and our Sony cameras can be charged via USB, it’s great to have another backup. 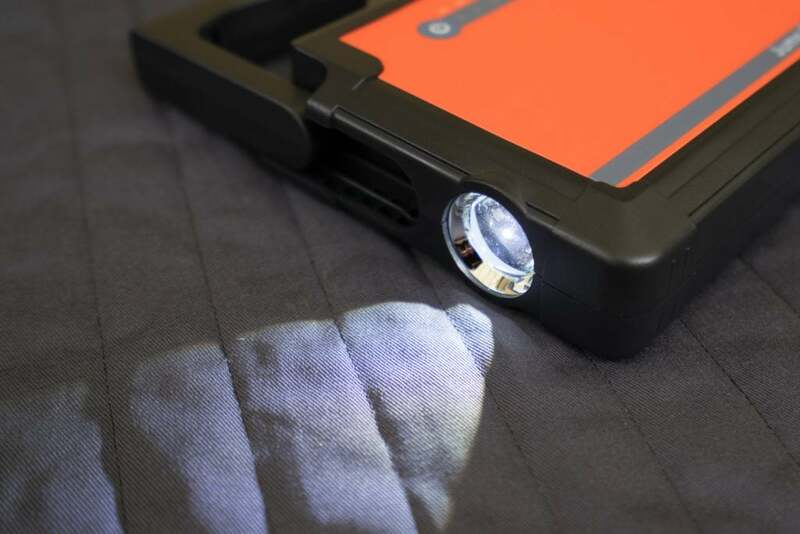 The Jump Starter features a 100 lumen light itself, which can be set to flashing emergency mode, or can easily top up other work lights. 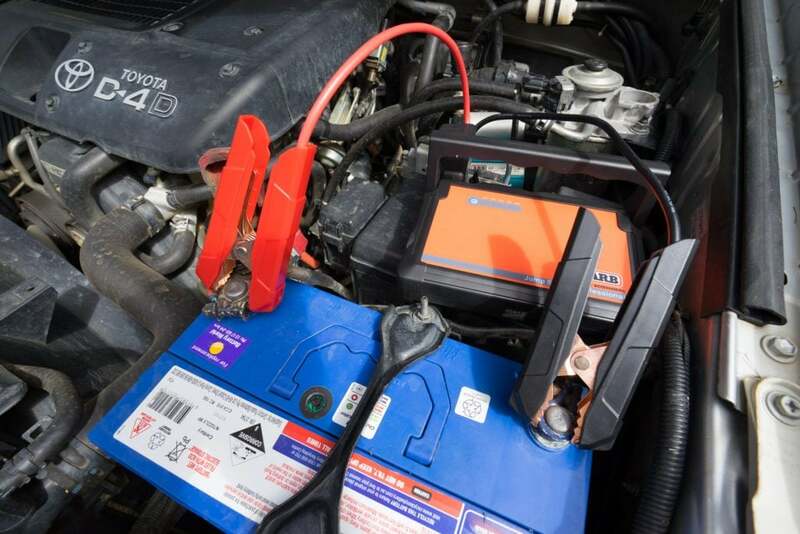 We’re really impressed with all that the Jump Starter can do and we’re surprised how small and light it is to pack.